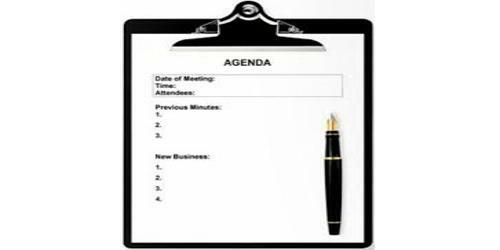 The topics of the program agenda must be prepared before the program. The program agenda should be devoid of technical jargon, and easy to understand. To conduct an executive review of the Corps program related to the Everglades restoration program. To provide information to all members of other projects of the Corp. which are ongoing or being planned. PMP’s and program level management plans posted. Discussion of issues from other groups. Date and time of next scheduled meeting.